FotoMorph - Create morphing images and animation sequences from still images. FotoMorph is a photo animation and a Flash banner rotation tool with a super-friendly user interface. Amaze your friends and family with unbelievable transformations! Morphing is an animation technique in which one image is gradually turned into another. FotoMorph lets you make incredible morphs in minutes! You've seen them in the movies and on TV, and now you can create them yourself. Turn a friend into a tiger. Watch your child grow into an adult. Unleash your imagination with the power of FotoMorph. This download (FotoMorphV13Setup.exe) was tested thoroughly and was found 100% clean. Click "Report Spyware" link on the top if you found this software contains any form of malware, including but not limited to: spyware, viruses, trojans and backdoors. Advanced GIF Animator 2.23 - Tool for creating animated GIF images, banners, buttons, and even movies. Animate Me! 2.2 - Animate Me! creates gif animations on the base of effects quickly and easy. CoffeeCup Animation Studio 2.3 - Create your own animated images, or edit existing ones to make 'em your own. Falco GIF Animator 5.9 - Allows professional and graphic artists alike to create and edit Animated GIFs. Sprite Builder 3.0 - Sprite Builder is used to combine separate images. Flash Clip Construction 1.0 - A tool for digital image enhancement. The library of visual effects included. Easy 3D Objects 2.3 - Easy 3D Objects is intended for creation of 3D animations and illustrations. Easy GIF Animator 6.2 - Powerful yet easy to use software for creating and editing animated GIF images. 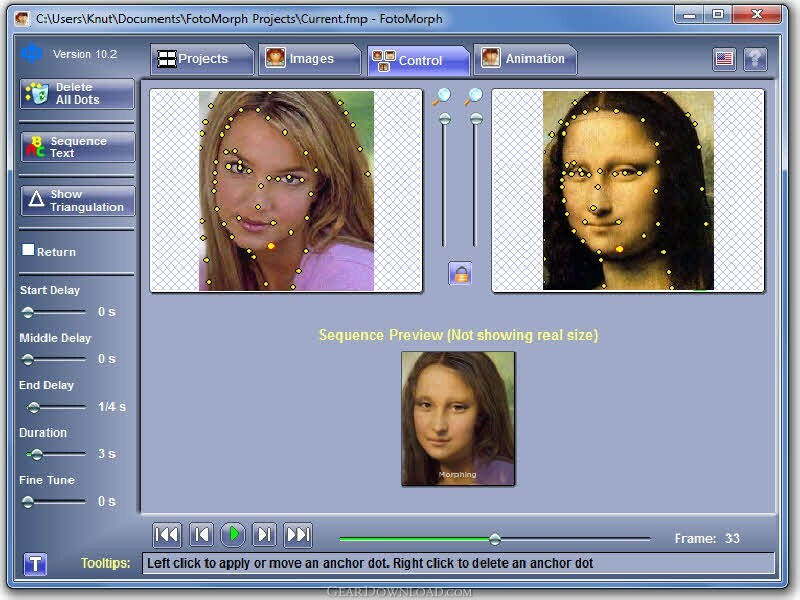 FaceMorpher 2.51 - Create funny animations with this fully automated face morphing program.